Perfect addition to an edible landscape garden! 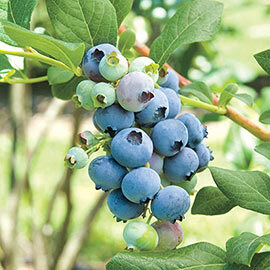 Bluecrop Blueberry offers up plenty of large to very large berries—and, for a limited time, you'll get expedited shipping on this plant at no additional cost. 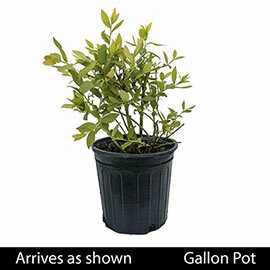 We ship our Bluecrop Blueberry in a gallon pot that's ready for immediate planting. Unbeatable for consistent yields, Bluecrop produces large, high-quality fruit that exhibits exceptional disease resistance in the garden or container. Grows 4 to 6 ft. tall, and reliably bears up to 20 lbs. of firm, light blue fruit. Berries are big—giving you about 65 per cup compared to the 120 or so you get with other varieties. Ripens in mid July. Potted. Zones 4-7.